I feel somewhat guilty for not providing new material for the blog as of late. The truth is, I'm away on vacation and my interest in doing anything productive goes right out of the window. Long story short, there'll be a brief hiatus for the remainder of the month. Don't fret, I will be back for August. In the meantime, enjoy what's here at the moment. Alejandro Gonzalez Inarritu's Biutiful is a relatively simple film. Nothing too flashy, nothing too daring. It certainly feels like a stark contrast to his earlier films like 21 Grams and Babel yet it keeps a similar nature to the previous two. The film stars Javier Bardem in a role that's very much a far cry from his Oscar-winning role in No Country for Old Men. How so? Well, for starters, he's not a sociopath with a bad haircut. But more seriously, Bardem is much more restrained here. Likewise, Biutiful doesn't possess the same hyperlink narrative that 21 Grams and Babel have. Granted, Biutiful does focus on a few of the smaller roles but not at a great length as Inarritu's two earlier films. Still, the narrative works...to an extent. Though I feel that's one of the flaws of Biutiful. It has too much of the emotional weight on one character (Bardem's). With 21 Grams and Babel, the collective emotional burden is felt throughout several characters. But here, it's one character and only one whom all of the weight is on, and it just feels...lopsided. All in all, Biutiful is an adequate film. There's nothing too remarkable about it and it feels a little long in the tooth in some scenes. 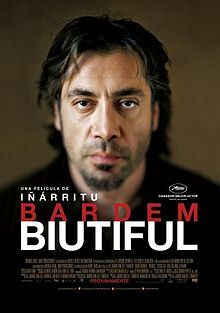 But Bardem's performance and Inarritu's direction make Biutiful worth at least a look. After seeing the possibility of a forming romance between Jesse (Ethan Hawke) and Celine (Julie Delpy) in Before Sunrise and Before Sunset, Richard Linklater finally shows in the third entry Before Midnight that these two can get together...or can they? Hawke shows a bit more depth as Jesse here than in the previous two films. As we learn early on in the film, Jesse's now divorced and has a strained relationship with his son. Hawke effortlessly shows Jesse's guilt from his failed marriage and lack of a connection with his son. Hawke may have been in a number of flawed films, but his work in the Before films redeems him. Delpy in turn shows a form of resentment in Celine here. She's willing to stay happy amid mixed company but behind closed doors, Celine isn't afraid to speak her mind. She's bitter about giving up her independence, and Delpy is simply fantastic. It's amusing, isn't it? Usually the third film of a trilogy is the weakest of the three. 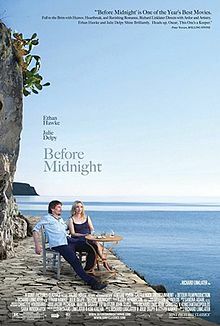 But with Before Midnight, the opposite can easily be applied. It's a mature film on a mature subject, and Linklater captures it wonderfully. And if there's any justice in the world (or at least Hollywood), Hawke and Delpy will get nominated for their work. It's unsettling, isn't it? Witnessing the society you're a part of is crumbling before your eyes. Even more so when you can't do anything about it. And this is before the actions of V (Hugo Weaving) begin in James McTeigue's V for Vendetta. The city of London is under the Orwellian siege of Alan Sutler (John Hurt). Whilst planning his mission, V attracts the interest of Evey (Natalie Portman) and garners a new accomplice as a result. I haven't read Alan Moore's graphic novel (and I know Moore wasn't very fond of the adaptation), but I particularly liked the film. It certainly displays its dystopian influences very well (the most telling influence is 1984) and the fact reality is slowly becoming like that is...unnerving. Honestly, though. We are part of a world now dominated by revolts and protests. And considering V for Vendetta is set in the not very distant future (it's set during the 2020s), who knows which country will slowly become like the London caught in Sutler's control? If you ask me, it'll be pretty horrifying if that does happen. Anyway, back to the review. 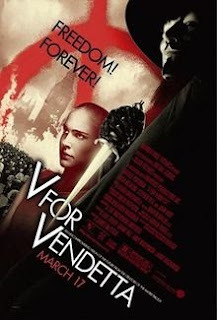 I really liked V for Vendetta, probably more than most people but no matter. Along with Portman and Weaving, there's also a small handful of (British) actors in this that made me smile from their presence. The fact this could be viewed as a depiction of our decaying society says a lot, doesn't it? Anyway, after hearing so many people gushing over Baz Luhrmann's Moulin Rouge!, I decided to give it a shot. (I am also a fan of stars Nicole Kidman and Ewan McGregor, so that also convinced me to see it.) Was I satisfied with the film? For the most part. My opinion of the entire film? Read on. It's common for musicals to have original songs but apart from one song, Moulin Rouge! relies on a soundtrack of contemporary music. (Feels weird for a film set in 1899 France.) In a way, it shows how wild the bohemian lifestyle was back then. (It also has a rather...amusing rendition of "Like A Virgin".) An interesting variation of the standard musical, that's for sure. Anyway, Moulin Rouge! is a very vibrant and wild musical. Thanks to the work from Kidman and McGregor (who really should have been nominated), it's also a very lovely romance. 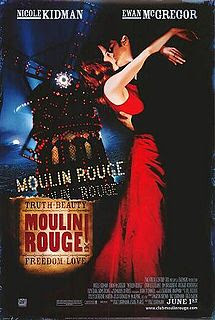 If you're a romantic sap like me (or just like very lavish films), then you'll love Moulin Rouge! We've all felt that way at some point in our lives, haven't we? That aching desire to become famous and recognized. Some people will do anything to get in the spotlight, even if it involves breaking the law. I suppose one driving motive behind the robberies was to be "in" with the Los Angeles lifestyle. And what better way to prove you're "in" that by having a wardrobe that's a who's who of top notch fashion? But being an unemployed middle-class teenager usually means you don't have the money to afford such luxuries, so apparently robbing celebrities is the way to go. As this film has teenagers, suffice to say there'll be actual teenagers in those roles. (Or at least those in their early twenties.) Of the quintet, there were two that impressed me. The first was Emma Watson, who, between The Perks of Being a Wallflower and this, has come a long way since her days at Hogwarts. And the other is Israel Broussand, playing the not quite willing participant of the robberies. I can sense he'll be around for some time. 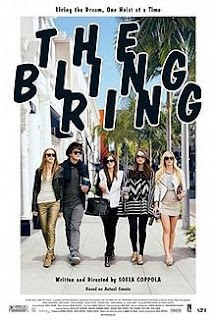 All in all, The Bling Ring isn't anything phenomenal or groundbreaking but man, is it wild. Lost in Translation still ranks as my favorite of Coppola's but who knows? It might change on a re-watch or two. This is an annoyingly common theme as of late. A popular film gets the Broadway treatment, but not just being confined to the stage. Oh no, it also gets converted into a musical. The number of odd films becoming musicals is...somewhat unsettling. 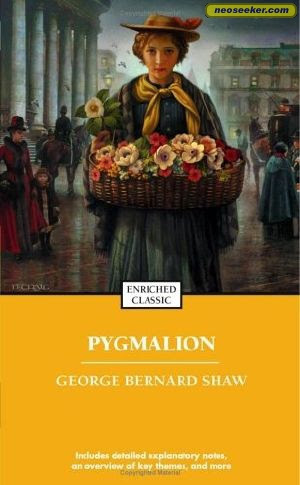 Now George Bernard Shaw's play exceeded my anticipations of it. I was expecting a work containing a fair amount of biting wit. (It is a British production after all.) What I got was a play that featured a ruthless man (Prof. Henry Higgins) and his vulnerable victim (Eliza Doolittle). 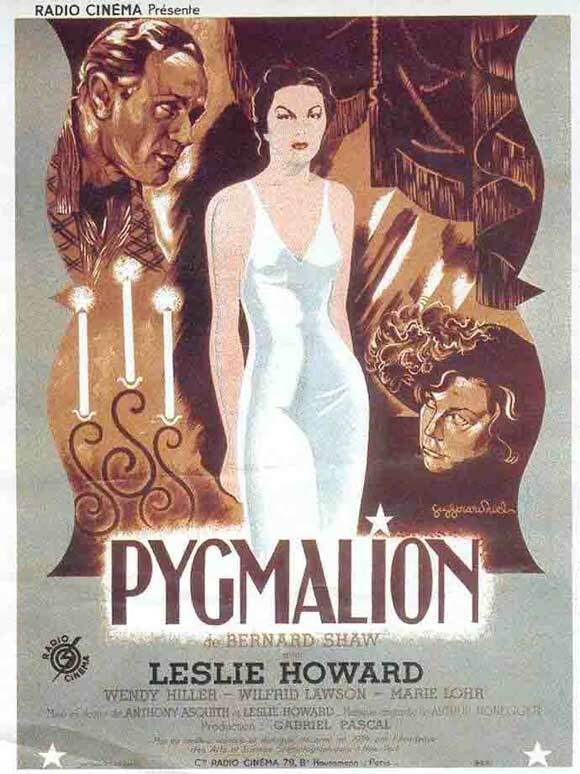 Obligatory Hollywood ending aside, the adaptation by Anthony Asquith and Leslie Howard keeps the nasty spirit of Shaw's play very much alive. Thanks to Howard and Wendy Hiller's performances as Higgins and Eliza, the film is a sort of comedy of manners minus the comedy (and in some scenes the manners). It's a really great film. Now which is better: the play or the film? Both certainly have their perks. Shaw's dry wit is seen even in the stage directions in the play. But Howard and Hiller bring Shaw's cynical world to life in the film. So what to say? I suppose this'll have to suffice.